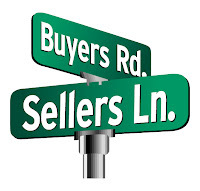 Every year the National Association of Realtors conducts a Profile of Home Buyers and Sellers to help real estate agents better understand how to reach their target market. This years survey of over 5,500 home buyers and sellers highlighted a few changes in the way people shop for real estate. Most notable was the fact that the number of home buyers that use the internet as a starting point in their home search dropped from 91% in 2010 to 88% in 2011. While these breakdowns look fairly predictable, two surprises we found in the age related data was that the 24-44 year old group beat out the 18-24 for using the internet as a real estate shopping resource and the 18-24 year old group reported the highest use of television as a home shopping resource. The bottom line for real estate marketers is if you want to reach the largest group of home shoppers, the Internet is still the best place to be. Is it just me or has anyone else tried to find a list of real estate companies or real estate brokers in the US and been unsuccessful? I consider myself pretty good at doing research online and I spent a good deal of time looking for a list of the biggest real estate companies and came up empty. I did see that RISMedia's 23rd annual Power Broker Report for real estate companies has been released recently but that data appears to be only available on a subscription basis for a fee. I thought I could find anything on the Internet with Google but it appears as though it's not as easy as I thought. I recently found a list of the Top real estate websites by unique visitors but it's not the same. If anyone can point me in the direction of a recent list of real estate companies in rank order from largest to smallest, please leave a comment below. This is part two of our "What Is Twitter and Why Should I Care" video series. In this short video I explain the 4 types of Twitter users and how each user or combination of users makes Twitter useful and relevant to their business and personal goals. See part 1, What is Twitter and Why Should I Care? I frequently get asked, "what is Twitter and why should I care?" Having 7 Twitter accounts myself and over 75,000 combined followers, I'm a big proponent of Twitter so I created a short video series, two videos to be exact, to answer the question and help people understand just how valuable Twitter can be if you know how to use it. This is the first video which I hope will answer the question, "what is Twitter?" and in the follow up video, I will answer the question, "why should I care?" This video is best viewed in the "full screen" mode. See part 2, 4 Types of Twitter Users. Attendance is limited and we are expecting this free webinar to fill up fast. The webinar will be held on Friday, July 23, 2010 11:00 AM - 12:30 PM CDT. Simply follow the link below to sign up. At Agentopolis we define Internet Marketing Success as, "The right number of the right people finding your website and doing business with you." In the early days of the Internet almost everybody with a business had a website built for them. For most of these sites, no consideration was given to getting the website to rank high in Google and other search engines for relevant searches, i.e real estate, homes for sale, mls listings, etc. More importantly, even less attention was given to local searches like, Minneapolis real estate, Minneapolis homes for sale, Minnesota MLS listings, etc. As the Internet continues to change and evolve, more and more local real estate agents are discovering that with a little work, they can get their own site to rank well in Google. The trick is that there are only 10 spots on the first page of the Google search results and statistics show that if you are not on the first page, you are probably seeing little if any traffic to your site, which makes your site a bit of a waste of time and money. The purpose of this free webinar, "3 Keys to Internet Marketing Success for Realtors" is to teach real estate agents about some of the more important aspects and strategies necessary to get your site highly ranked in Google and get your visitors to do business with you. How to find the 5 best search terms that home buyers are using to find real estate in your area. How to organize the content on your web pages to get high Google rankings. How to find great free sources for links back to your site. How to spy on your competition and see exactly why they are ranking above you in Google. How to make it easy for your visitors to share your listings with their family, friends and social networks. 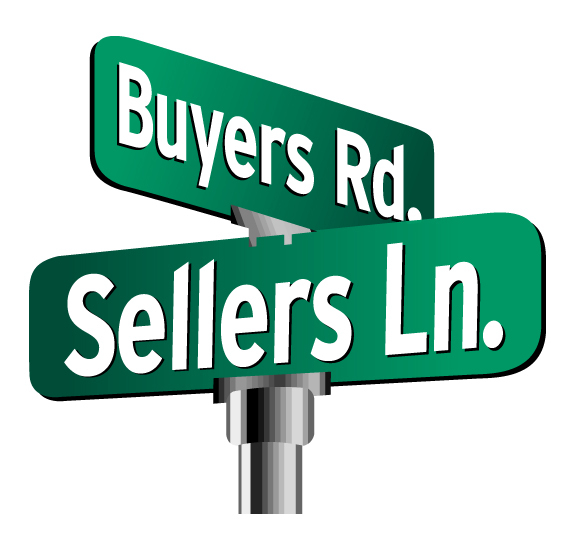 How to build a list of local home buyer leads. How to track your progress and make sure you are moving up and getting more leads. Anyone Realtor who is wondering how the #1 ranked agent on Google in their area got there. Any Realtor who isn’t on the first page of Google for local real estate searches. Anyone who hasn’t added or changed content on their web site in the past 30 days. Anyone looking for a way to rank higher than their competitors in Google and other search engines. Realtors who are just getting started optimizing. Real estate agents who are frustrated with their current internet marketing efforts. Anyone looking for an easy to follow process for search engine marketing. Realtors who are tired of paying someone else for search engine optimization and it’s not working. Stay tuned, Agentopolis will be making three big changes over the next 3 weeks that will make it easier for Realtors to take advantage of the Social Media Revolution! Better late than never right! Yesterday we added an easy way to connect with Agentopolis from our home page with the addition of a Facebook, Twitter and Blogger icon. Simply click on any icon to find, follow, or interact with us on the web. Our goal with our social media strategy is to help our member real estate agents get more exposure by making it easy for them to share their profile and listings with their social networks. Stay tuned as we will also be simplifying our recommendation process to make it look and work more like rating systems you are already familiar with.